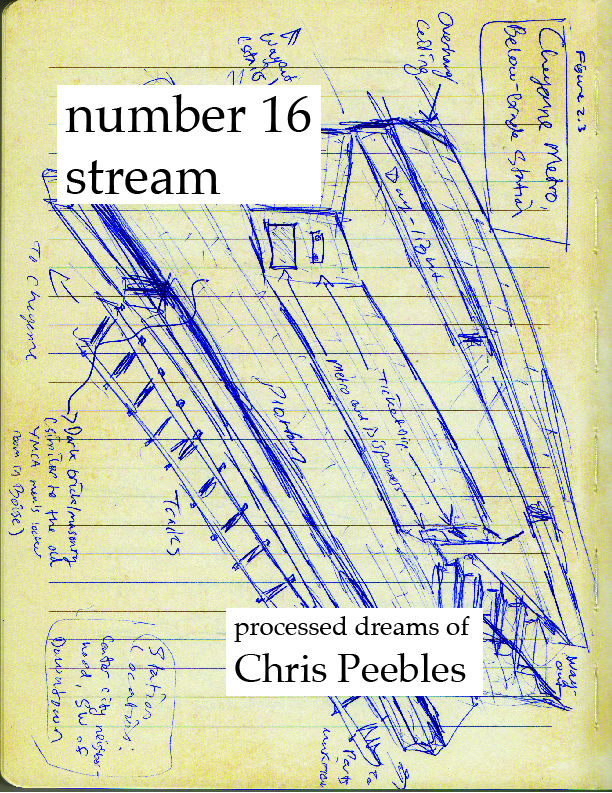 number 16 stream features 22 processed entries from a dream journal kept by Chris Peebles during the period of January to April 2013. To transform the entries, Peebles read them aloud into the voice recognition system of a tablet computer. Often Chris’ dictations were misheard and converted into bewildering and beguiling new sequences of words. 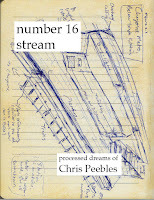 From March 2014 to September 2015, Chris edited the distorted string of words kicked out by the machine to yield a suite of poems that are hopefully more interesting and enjoyable to look at and read than a massive block of text. Published in August 2012, Parallel Stills seamlessly blends the words of Chris Peebles with the visual stimuli of BLENKO into a truly unprecedented artifact. 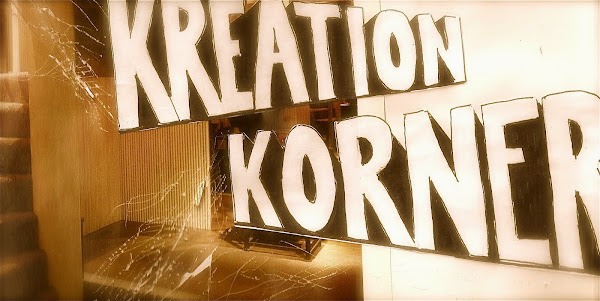 Editor Gabe Gabriel handpicked material kreated during the period spanning 2006 to 2012 and painstakingly arranged it in a mode greater than the sum of its konstituents. 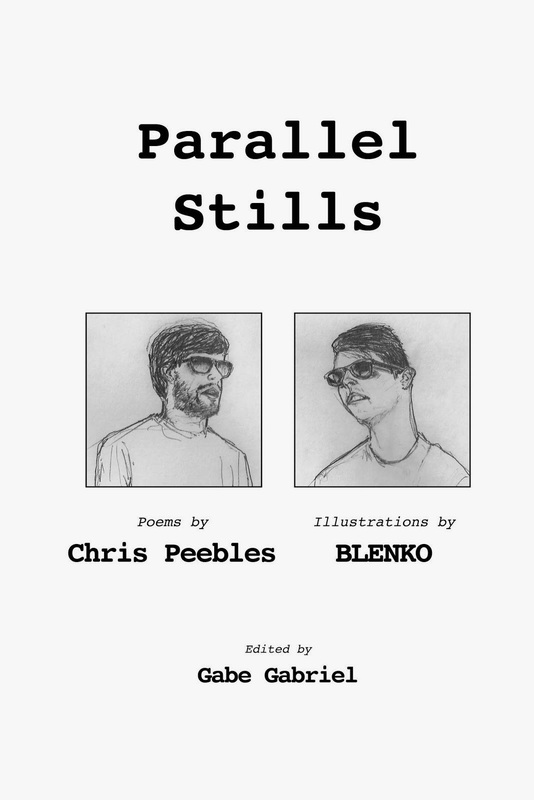 With 37 poems, 28 illustrations and some readable ancillary copy, Parallel Stills is a kompelling distillate of that elusive and alluring substance we call Kreation. We feel this kodex represents the finest of what we have to offer here at The Korner. Get your copy before supplies become fully exhausted! Parcels shipped via USPS First-Class Mail. Expect 3-5 days for delivery (includes processing time). No additional postage fee. We can make special arrangements to get you your copy or copies!